Panthers prop Nick Lui-Toso signs a contract extension to remain with the club until at least the end of 2020. Panthers releases Tom Eisenhuth and Oliver Clark from their respective contracts with the club to pursue opportunities elsewhere in the NRL. Penrith Panthers is delighted to announce Reagan Campbell-Gillard has signed a new long-term deal with the club. Penrith Panthers is delighted to announce prop forward Kaide Ellis has signed a contract extension with the club. I like the new format of this page, very easy to see who’s coming and going without having to trawl through pages of posts. Hopefully we hear about Cleary’s future sooner rather than later, I get the impression from his on-field performances of late it may be playing on his mind. Panthers is delighted to announce Caleb Aekins has signed a new two-year deal with the club. Penrith Panthers is delighted to announce Tim Grant will return to the club on a one-year deal in 2019. Great news!! I hope he can regain his old form I thought he was good for us when he was here, still remember him playing State of Origin and having a graet game against Petero. you keep both young guns. Maloney won’t last as long. Can’t agree more Puss, that is the ideal outcome. Blood Luai as a fullback for the rest of this season, centre or wing the next. Mind you, it’s going to take some wheeling and dealing to keep both of them, but if anyone can do it, Gus can. I agree. Long term your halves combination should be Cleary & Luai. After last weeks effort it is more than well deserved! Corey Harawira-Naera granted a release from last 2 years of his contract to join Canterbury-Bankstown Bulldogs on a 4 year deal, expiring 2022. I guess it’s all part of the [5 year] plan. 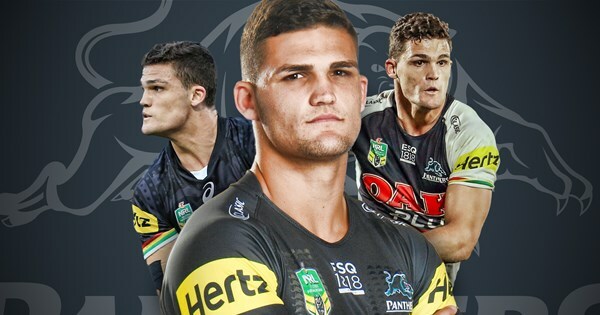 Penrith will secure Nathan Cleary's services at the club until at least 2023, with the halfback agreeing to stay at the Panthers beyond the end of his current deal. Can we expect an announcement soon on a coach! I think we may get an announcement within the next couple of weeks and another one in about 2 years time.